NBC News is reporting that Nipsey Hussle has passed after sustaining injuries after multiple gunshots wounds outside his store in Los Angeles. He was 33 years old. Two other people were hospitalized as a result of the shooting. After a string of successful mixtapes, Hussle released his debut studio album, “Victory Lap” and received a nomination for Best Rap Album at this year’s Grammy Awards. Born Ermias Asghedom in 1985, Nipsey was raised in the Crenshaw section of L.A. Hussle had been a member of one of Los Angeles’ largest street gangs, the Rollin 60s Neighborhood Crips. The Grammy-nominated rapper was known for carrying on the tradition of West Coast hip-hop like legends Snoop Dogg. 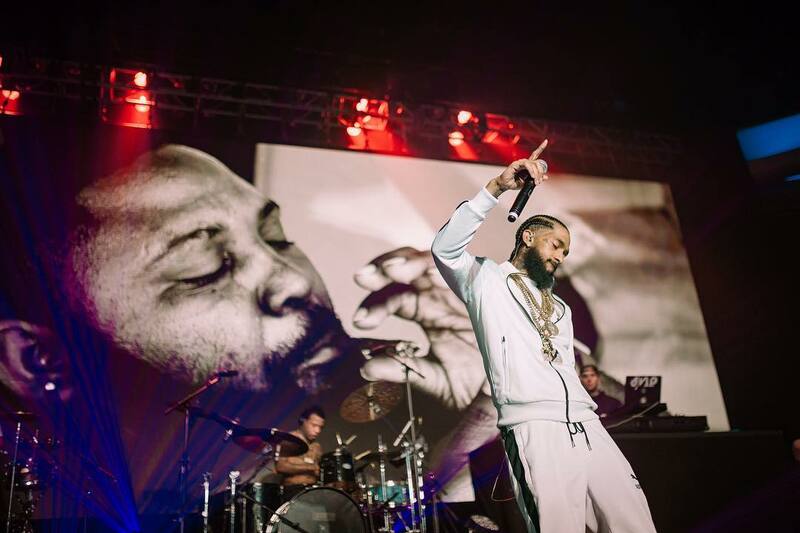 Nip was also known for being a frequent collaborator with rappers from various neighborhoods and building alliances across his native California. In addition to his recording career, Nipsey had moved into various areas of business. He opened the Marathon Clothing “smart store” and an entrepreneur coworking space called Vector 90, both in the Crenshaw district. Nipsey’s business acumen helped gain the attention of the industry when he released his Crenshaw mixtape at $100 each for a limited edition release. Nipsey and long-time partner actor Lauren London were parents to a 2-year-old. At this time there is no further information on the assailants.